integral rehabilitation of the building for its adaptation to 5 tourist apartments of 2 + 1 seats. 2 High performance exterior carpentry, with triple glazing / double chamber. 3 Absence of thermal bridges, external insulation and wooden balconies. 5 Mechanical ventilation system with heat recovery. These five points, duly calculated with the PHPP tool, and meticulously executed, ensure that the Mendialdea Rural Apartments have a high level of comfort. It is a building where there are no internal currents of air, there is no sensation of cold walls and most importantly, the interior air is continuously renewed without losing thermal comfort at any time. And in addition, this construction system gives the building a high energy efficiency that makes it a sustainable building with very low consumption, in line with the current trends of energy savings derived from an efficient construction. 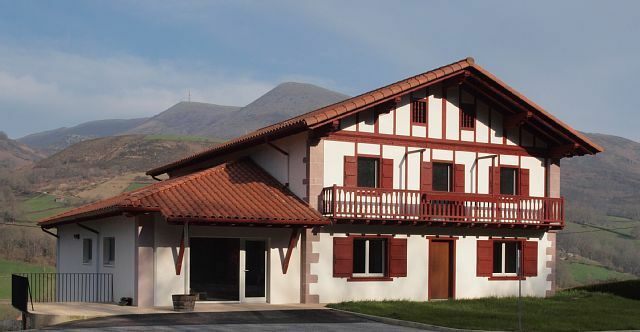 The owner of the establishment, can give you more details of this system, as a Technical Architect and in possession of the Tradesperson Certificate by the Passivhaus Institut of Germany.